CLEAN CARFAX! RBM OF ATLANTA PEDIGREE VEHICLE, SOLD AND SERVICED HERE. WHEELS: 18 AMG® TWIN 5-SPOKE ALLOY -inc: Tires: 225/40R18 Fr & 255/35R18 Rr, WHEEL LOCKS, REAR TRUNK LID SPOILER, MULTIMEDIA PACKAGE -inc: 7 high resolution LCD color display, SiriusXM Traffic and Weather service, Gracenote media database w/album cover art, 3D map views and 10GB music register, Voice Control, Rear View Camera, Radio: In-Dash Single DVD/CD Player, SD card slot, COMAND® System w/Hard-Drive Navigation, BURL WALNUT WOOD TRIM, BLACK, ALMOND, MB-TEX UPHOLSTERY, Window Grid Antenna, Wheels: 17 Twin 5-Spoke Alloy -inc: 7.5J x 17 ET 47 front and 8.5J x 17 ET 58 rear, Wheels w/Silver Accents. This Mercedes-Benz C-Class has a powerful Intercooled Turbo Premium Unleaded I-4 1.8 L/110 engine powering this Automatic transmission. 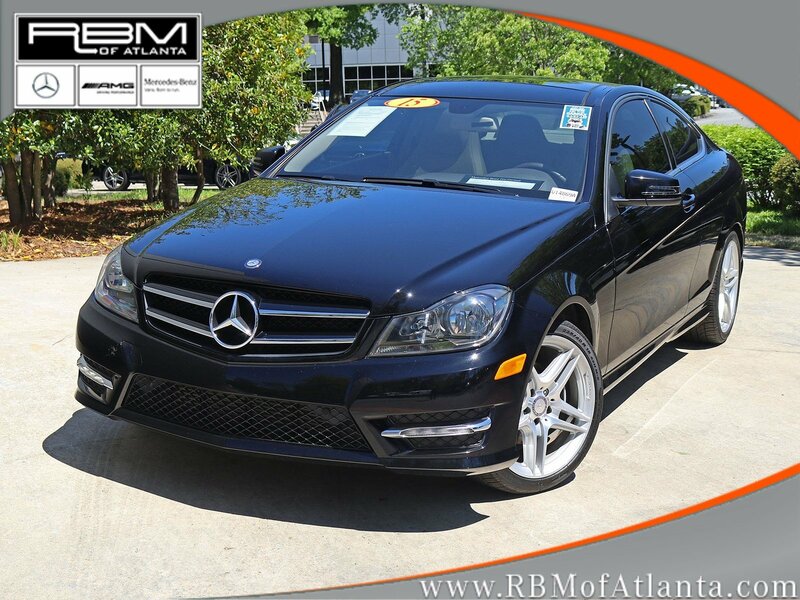 *This Mercedes-Benz C-Class C 250 Has Everything You Want *Trunk Rear Cargo Access, Trip computer, Transmission: 7-Speed Automatic 7G-TRONIC Plus -inc: touch shift, Tracker System, Tires: 225/45R17 Fr & 245/40R17 Rr All-Season, Tire Specific Low Tire Pressure Warning, Systems Monitor, Strut Front Suspension w/Coil Springs, Steel Spare Wheel, Sport Leather/Metal-Look Steering Wheel, Smart Device Integration, Single Stainless Steel Exhaust w/Chrome Tailpipe Finisher, Side Impact Beams, Send2Benz Selective Service Internet Access, Remote Releases -Inc: Power Cargo Access, Remote Keyless Entry w/Integrated Key Transmitter, 2 Door Curb/Courtesy, Illuminated Entry and Panic Button, Refrigerated/Cooled Box Located In The Glovebox, Driver And Passenger Door Bins, Redundant Digital Speedometer, Rear-Wheel Drive, Rear Fog Lamps. 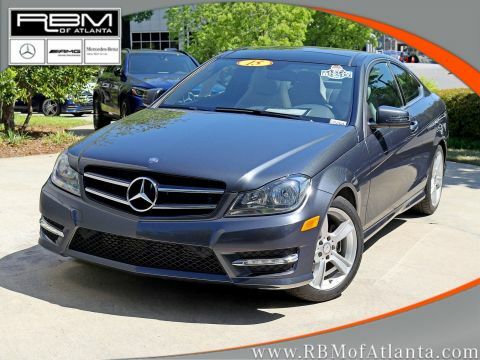 *Stop By Today *A short visit to RBM of Atlanta located at 7640 Roswell Road, Atlanta, GA 30350 can get you a trustworthy C-Class today!